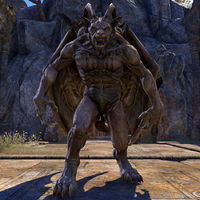 Gargoyles are powerful creatures that often remain in stationary statue positions before revealing themselves for combat. 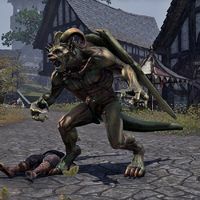 Sandy gargoyles are often found in Hammerfell, though green-skinned gargoyles can also be encountered under the control of vampires. This page was last modified on 16 February 2019, at 20:23.